iResQ, the Apple-authorized repair company from Kansas City, Kansas, has boosted its capacity to handle repairs of the new iPhone 3G. It now offers an array of parts for the iPhone 3G that complement its existing repair service for the 1st-generation iPhones. The same services we have provided for the 1st-gen iPhone for over a year are now also available for the iPhone 3G. With healthy 4th-quarter sales predictions for the iPhone, we are pleased to be able to maximize our potential for quality, speedy repairs in this growing market. iResQ, the Kansas-City-based Apple product repair facility, is ready for repairs of the iPhone 3G and all its parts. The company recently expanded its repair capacity by offering full service for 6 components of the iPhone 3G. 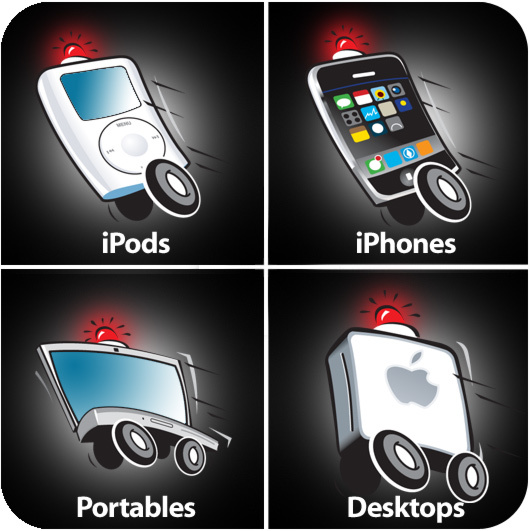 The Apple-authorized service provider specializes in repairs and upgrades of iPods, iPhones, Portable and Desktop computers. Current demand for iPhone repairs at its Kansas facility is higher than ever. iRes also offers 24-hr. diagnostic service for iPhones and the rest of the main product repair lines. Customers can choose from overnight shipping, ground shipping, customer-supplied shipping, or local walk-in delivery. "With the new iPhone 3G parts, we are able to expand our familiar, comprehensive service to owners of the new iPhones," says Brian Buffington, GM of iResQ. "The same services we have provided for the 1st-gen iPhone for over a year are now also available for the iPhone 3G. With healthy 4th-quarter sales predictions for the iPhone, we are pleased to be able to maximize our potential for quality, speedy repairs in this growing market." Centrally located in Kansas City, Kansas, iResQ works exclusively on Apple computers and portable devices. Servicing Apple products since 1994, its team of technicians boasts years of experience and multiple Apple Certifications. 24-hr. diagnostics and repair service cover the entire line of iPod, iPhone, Portable Mac, Mac Mini, and Apple TV systems. This includes the entire PowerBook G4 family, the iBook family, plus the MacBook and MacBook Pro systems.